Free parking in towns across Aberdeenshire including Ellon and Inverurie could soon be scrapped in a bid to cover a £160,000 deficit. Members of Aberdeenshire Council’s Infrastructure Services Committee will meet in Aberdeen today (Thursday) to discuss the scheme. The current tariffs were put into place in December 2014 to encourage people to visit their local town centres. A report to members reveals that there has been a 75 per cent increase in the use of car parks following the introduction of the free parking scheme, totalling around 1.4 million transactions, however a massive 80 per cent of these were free. While the increase in use of the car parks is welcomed, Aberdeenshire Council say this has had “a significant impact on revenue”. Members will discuss six potential options that include removing free parking, setting a standard free period, increasing current payment tariffs, extending charges into more car parks in Aberdeenshire and a review of hours of charging. The sixth option will see members review the management and provision of electric vehicle charge points. If agreed, parking charges could increase meaning that parking for 0-2 hours, currently at £1.20, could jump up to £2, and those paying for up to 3 hours could have to pay £3 instead of the current charge of just £2. 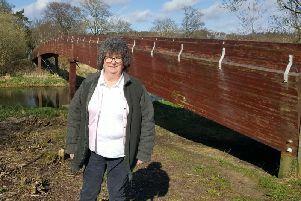 Commenting, Ellon & District councillor, Gillian Owen, said: “I have personally supported a free period in Ellon and would be very disappointed to see any change. However in light of the challenging financial position we continue to find ourselves in, it would be wrong of any council not to look at charges through the spectrum, but I will seek justification for any abolition of the free period.